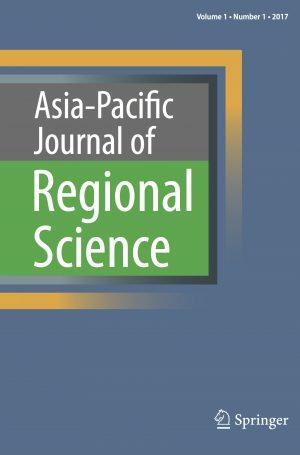 The Japan Section of the Regional Science Association International is delighted to announce that a new Journal “Asia-Pacific Journal of Regional Science” will be published from Springer in 2017 April. We hope many submissions of manuscripts which are in relation to regional science of Asia or pacific regions. Authors are requested to submit manuscripts via Editorial Manager from the URL below.